0 Sacred Heart of Jesus, I fly toThee for rest. O sweet Savior, may Thy face smile on my soul all free. Oh may I cry with rapturous love, I’ve placed my trust inThee. Anyway you cut it, the “Birthers” Win: Obama is ineligible. Except we find a rational explanation for his conduct, Obama’s actions must appear to be the result of some irrational and defensive pride, some insanely arrogant sense that the oath, duties, and lawful obligations of his position do not apply to him, as they have to the others who have occupied the office he claims. But we are in fairness forbidden to suspect Obama’s moral sanity unless we also question the rationality of the politicians, judges, and media personalities who joined in the campaign of lies, ridicule, and derision intended to quell public insistence that due respect be shown for requirements plainly stated in the Constitution. In addition to demeaning the status and responsibilities of American citizenship, some of these people went so far as to suggest that the Constitution can be amended de facto by simple majority vote in a general election, casting aside the procedures for amendment the Constitution establishes. In other words, our argument has been that *anyone* who is running for president should be required to provide proof of being a natural born citizen, simply because Article 2, Section 1 of the United States Constitution requires it. Obama’s supporters, and some Republicans, think this concept is ridiculous, which shows their contempt for the Constitution. We have been told that there’s no “long form” birth certificate, or that Hawai’i doesn’t release them, or that the “short form” “certification of live birth” previously released *was* his birth certificate. We’ve been told these various claims over the past 3 years and that they all somehow refute the “birthers.” Dr. Keyes points out the very obvious fact that the release of this alleged birth certificate on Wednesday proves, if nothing else, that Obama and his supporters have been lying!! On Wednesday this week, after refusing the simple request for several years; after expending several million dollars in lawyer’s fees to battle anyone who dared pursue it; after vindictively engineering the court-martial and imprisonment of an honorable soldier who stood by his sworn oath to defend the Constitution of the United States — Barack Obama finally gave in and released what purports to be a copy of his full and complete birth certificate. This constitutes incontrovertible proof that he, his media claque (including snopes.com, etc. ), and the gullible or cowardly politicians (Democrat and Republican alike) who repeatedly claimed that he had already done so, were lying. The people they derided and ridiculed as “birthers” were telling the truth. The Certification of Live Birth published on the Internet, which these liars repeatedly referred to as his birth certificate, was an abridged certification that omitted the vital information needed to verify that he was born on U.S. soil, and could therefore claim, jus soli, to be a citizen at birth. The Obama document is printed on a modern kind of watermarked paper that was not used in 1961. Some argue that it’s a photocopy printed on modern paper. Fine; that makes sense–except that it doesn’t have the telltale signs of a photocopy. The document has been compared to some published long form birth certificates, particularly those of twins born on August 5, 1961. Critics have pointed to some alleged indiscrepancies, such as differences in how the date is written, which could easily be explained away. However, the biggest of all is that Obama was born on August 4, 1961, but the file number on the alleged birth certificate says “10641,” while the twins born the day *after* him have file numbers 10637 and 10638. He was born before they were, and his birth was allegedly registered before they were, yet the document is numbered later. The document has, of course, been scrutinized, and self-proclaimed experts have said the typeface is different on different parts of it. The White House released the document in PDF format, and many have pointed out that it opens into layers in Adobe Illustrator. Some have argued that any document opened in Illustrator will open into layers. Another very basic argument that’s been raised is that the text has little white areas around it–areas that would not have occurred on an original typed document but would have occurred on a scan. Liberals claim that this is a result of OCR and can be seen on any scanned document. I’ve never seen it. Perhaps the most noteworthy thing he says, which anyone who’s done any document scanning or art scanning can attest to, is that ink does not scan as solid color. If you scan a signature, it will come in as grayscale. If you zoom a scanned drawing or signature, you will not see black lines. You will see lots of pixels in different shades of gray and black. On the other hand, if you sign a document *in* Acrobat or Illustrator or a pain program, you will get a solid black line. Indeed, I often use Acrobat for legal documents, and I’m sometimes told that the recipient cannot accept it because it’s obvious the document is signed on the computer–even if I’ve signed it with a digital pen. The guy in the above video shows how some of the signatures on the alleged birth certificate, particularly that of Obama’s mother, were done by computer! You can see the difference between signed-in-pen letters and signed-on-computer letters. It *does* strike me as a possible explanation for the whole sudden Trump-is-a-conservative thing: did Trump suddenly declare his conservatism and try to get instant credit just to raise a stink and “force” Obama to release this obviously forged “birth certificate” to make conservatives look bad? In a _Hardball_ debate the other day (in which Pat Buchanan admittedly does a disservice to “birthers” by sounding a bit racist), Chris Matthews expresses his view that it’s completely unnecessary for a President to provide credentials for his job, and claims that he didn’t need any credentials to get his own job!! The problem with your reasoning, Mr. Matthews, is the Constitution doesn’t require a journalist to be a natural born citizen!!! What’s really insulting about the _Hardball_ debate, which included Hillary Clinton’s presidential campaign manager Terry McAuliffe, besides just about everything, is that McAuliffe is sitting there all smug about “birthers” when it was Hillary Clinton’s campaign that first raised Obama’s birth certificate as a legal issue!! 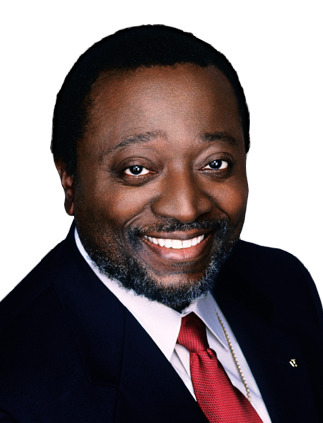 Every time some idiot liberal tells me that “birthers are racists,” I say, “Well, I guess Hillary Clinton and her supporters are racists.” Then you have the point that Alan Keyes was the *first* to raise the issue. I guess he’s a racist, too. Chris Matthews has accused Obama’s opponents of being “Crackers on the Right,” yet said after Obama’s 2010 State of the Union Address, “I forgot he was black tonight.” Really, Chris? Do you think about it that much? When I look at Barack Obama, my first thought is not, “He’s a black man” (my thought is, “There’s a horrible monster who supports legalized abortion”) but that’s apparently the first thing Chris Matthews thinks: so who’s *really* a racist, Mr. Matthews??? Obama was raised for a good part of his childhood in Indonesia. As many have argued, this should alone invalidate him. He was adopted by an Indonesian and went by “Barry Soetoro” for much of his life. Further, the Founding Fathers got the term “Natural Born Citizen” from the 1758 treatise known as the “Law of Nations,” which declares that a person’s “natural born citizenship” is the country of his father’s citizenship, period. One of the reasons Obama’s supporters claim “birthers” are racists is because John McCain was born in Panama. First, McCain made no secret of that, and sought a Congressional resolution declaring him a natural born citizen. However, McCain’s parents were both US Citizens. McCain being born of US citizens on foreign soil is far more eligible for the presidency than Obama, born to a foreign father, than raised in another country by a foreign stepfather. In any case, as I’ve also said many times, why doesn’t the “penumbral shadow” of the Constitution fall on Article 2, Section 1? I’m sick and tired of being told that no one can object to Obama’s positions without being a racist. I’m sick and tired of the very people who spent 8 years saying George W. Bush was illegitimate because Al Gore won the “popular vote” (again showing their complete disdain for our Constitution) now saying that it’s unAmerican to question the authority of a legitimately elected president. I’m sick of the people who complain about Bush being a “rich white guy” saying that Obama’s critics, who hardly ever mention his race, are racists. To wit, I agree that Buchanan sounds rather racist in insisting that we want Obama’s records because of “affirmative action.” No. We want Obama’s records because most presidential candidates show these records. We’ve heard for 10+ years that George W. Bush is “stupid,” even though he proved by publishing his college transcripts that he’s actually smarter than Al Gore. We have heard for 3+ years that Barack Obama is this brilliant guy, even though the Teleprompter President can’t go off-card for 20 seconds without hemming and hawing. The guy thinks we have 57 states. Chris Matthews tells us that Obama is “obviously” smart because “he shows it every day.” HOW?? “I read his book,” says Matthews. Yeah, so? In a Memorial Day speech, he referred to a relative who fought at Auschwitz, implying that a relative was either a Nazi or Soviet soldier (he meant Dachau), but we’re talking about the prepared text here: that’s a big difference from going off the teleprompter. The same goes for a speech in the above video where he claims that the March on Selma (1965) was the inspiration for his parents’ marriage (he was born in 1961)! The guy is either completely stupid or thinks his supporters are–and they most definitely are. Again, if it is “racism” that motivates people to post these videos of Obama quotes, then is it “racism” that motivates Democrats to make fun of gaffes by George W. Bush, Dan Quayle, Sarah Palin, etc?? Ultimately, the real “distraction” is the kinds of arguments used by liberals. The college records aren’t important because of “affirmative action” or because of whether he’s “smart enough to be president. The college records are important because some people claim he studied on foreign student scholarships. Obama claimed joint citizenship with the US and Indonesia–which should be enough to say he’s not a “natural born citizen”–and the issue is whether he used his Indonesian citizenship after age 18. 0 eternal Father, through the divine Heart of Jesus, I adore You for all those adore you not; I love You for all those who do not love you. I go in spirit through the whole world to seek for souls redeemed by the blood of Jesus. I embrace them in order to present them to You in His Sacred Heart, and in union with your merciful Heart, I ask for their conversion. We adore you, O Christ, and we bless You! Because by Your Holy Cross You have Redeemed the World! Obama finally released his birth certificate, and he was born here. I still say, as I’ve always said, that regardless of where he was born, Obama’s very agenda fits the *reason* the president is supposed to be a natural born citizen, and that the “penumbral shadow” the liberals made up ought to apply to Article 2, Section 1.